You need to plan way, way ahead when it comes to registering web domains. Someone is putting the "modernwarfare3.com" domain to good use, but - undoubtedly much to its chagrin - it's not Activision. 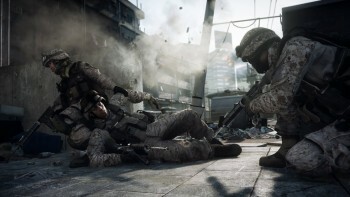 Rather than leading to the website for the next Call of Duty game, the address sends people to the site for the series' rival, Battlefield 3. The domain was registered privately in 2009, via a proxy, so it's not clear whether Battlefield 3 publisher EA is behind it, or just someone who really likes Battlefield and has an axe to grind against Call of Duty. Before the redirect took effect last week, the site featured links to anti-Call of Duty videos, along with a rant calling Modern Warfare 3 a "copy and paste sequel" to the "lackluster" Modern Warfare 2. According to Fusible, which has been watching the site for a while, the redirect started when the site's original host, iPage, shut it down last week. This is also something that could happen again, as Activision was unable to secure the "modernwarfare4" domain. It seems pretty unlikely that EA is behind all this, but with its history of pulling what might be considered "ill-advised" marketing stunts, you can't completely discount the possibility. If it is a marketing stunt though, it's one that's been in the pipeline for quite some time.